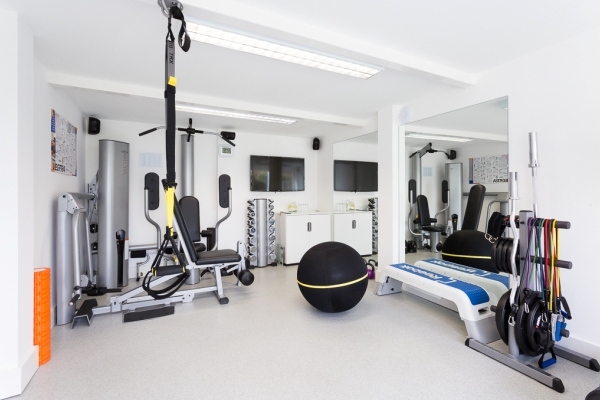 The Fitness Suite is a private space, tucked away in Sutton Valence. Specifically designed for women who would like to improve their fitness levels, health, wellbeing and self confidence. 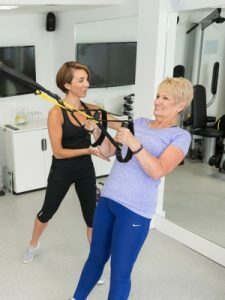 The space is designed for personal training on a one to one basis and each training session and program is bespoke, designed for the individual, after all we know that one size does not fit all. Vicki, the owner, is passionate about women’s health & how women see themselves. Her approach is sympathetic and understanding. Vicki also believes that life should be about balance in both fitness regimens and nutrition. You will not find a strict diet plan at the fitness suite as Vicki believes this is unsustainable and unrealistic. Vicki started life as a professional dancer, dancing in shows such as the Buddy Holly Show. Once her dancing career was finished due to injury she moved to the role of an aerobics instructor and was hooked on improving clients fitness and health. This is where her passion for fitness and helping others in their goals began. Now in her 40s Vicki has The Fitness Suite training and advising clients of all abilities and ages, in private. Don’t know where to start with your fitness? Don’t like the thought of working out in a public gym? Maybe you’ve hit a fitness plateau and you don’t know what to do next? Struggling to juggle family, work and health? If you answer yes to any of the above give me a call to discuss your goals or arrange a trial session.